The placenta, the root of your origin is a miraculous ogan that shares and protects your life. It is the conductor that unites you with your mother and serves as the control panel of the womb-ship that sustains you until you are born. It was concieved at the moment of your genisis. Though you share some of your parents genetic identity, unless you have an identical twin no one, except your placenta has ever been so perfectly, exactly you. The act of creating new life only works because of the placenta, it is the mandala in the centre of the miracle of life. Historically our creation stories tell of the Earth mother birthing the world: Her amniotic fluid became the oceans, the placenta became the tree of life. This demonstrates how essential the placenta is to our survival and how embedded it is in our psyche. 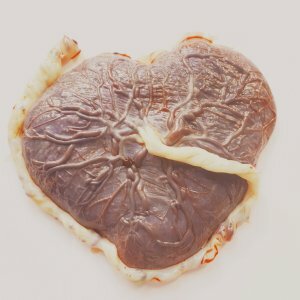 Why is your placenta so important for post birth healing? During and after a normal vaginal delivery (including post-natal bleeding) a new mother will lose between 1/8 to 1/10 of her body’s blood supply. With caesarean section births, blood loss can be significantly more. Losing a large amount of iron so quickly can cause anaemia, leaving a new mum feeling tired, faint and exhausted. The blood needs high supplies of iron to carry oxygen to the cells. Low supplies of oxygen leave your cells starving and less able to heal after trauma. The placenta benefits the new mother by supplying incredibly rich meaty iron, amino acids and essential fats which we believe is the perfect replenishment following the physical exertion of pregnancy, labour and birth. Stem cells and growth factors in the placenta play a key role in healing the wound left inside the uterus after birth by the separation of the placenta from the uterine wall. A mother will typically bleed for between 3 – 6 weeks after birth. This blood loss stems from where the placenta separated from the uterine wall. We have found however that mothers who consume their placenta after birth, particularly after consuming raw placenta in a smoothie or other, bleed significantly less e.g. usually much lighter bleeding for between just 5 – 10 days after giving birth. 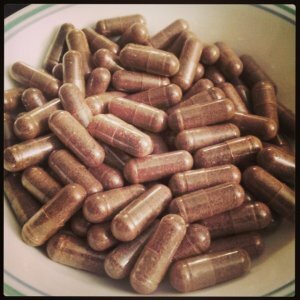 The placenta benefits a healing mother after birth in many forms. Placenta smoothies, capsules, creams, tinctures, essences and homeopathic remedies can all be made using the placenta; each may have their own benefit to the body and encourage a quicker more natural recovery after birth. (Information provided by Placenta Remedies Network, Professional Training in Placenta Services). There are a number of ways to benefit from your amazing placenta and I have seen them provide a wonderful service to new mothers. I am a trained and certified specialist with the placenta remedies network and hold all relevant blood borne pathogen and food hygiene certificates. I am based near Uckfield and collect from Pembury hospital, Crowborough birth centre, Princess Royal hospital Haywards Heath and Brighton hospital. I also collect from home births up to 40 mins from my local area. Please visit Placenta Remedies Network for more information.